Uh, oh. Hubby's in a panic, opening and closing each and every kitchen cupboard. "The syrup. We are OUT of pancake syrup!" Hubby loves pancakes, especially Peanut Butter Pancakes and Corn Muffin Pancakes. He HAD to have his maple syrup, but....we were out. And the pancakes were already made. "Let's make our own syrup," I suggested. He gave me this look, like...."are you kidding me?" 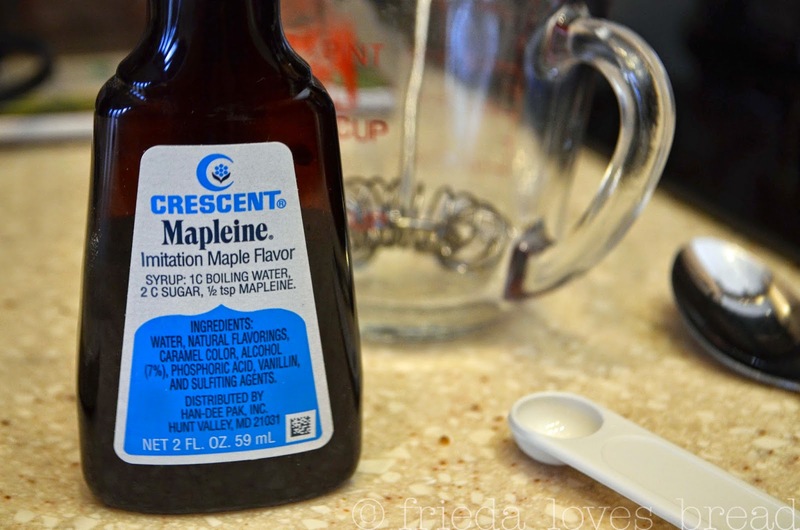 My mom used to make pancake syrup all the time ~ hubby grew up with the Aunt syrup or the Mrs. Something or other syrup, which is thick and buttery. The problem with those syrups is they have a bunch of stuff that I can't pronounce, and besides, we were OUT of any kind of syrup. Brown sugar (light or dark, you choose) and cornstarch. Cold water. Put over a medium-high stove and bring to a boil. Stirring constantly, boil for one minute. Add in your maple flavor. This is the brand my mom uses....but after reading the ingredients, you may want to use something else. I use it in my Maple Oatmeal Bread. 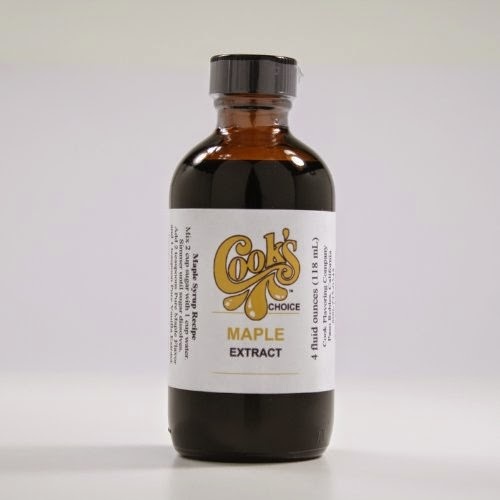 Cook's Pure Maple Extract 4 oz has simple ingredients and nothing artificial. 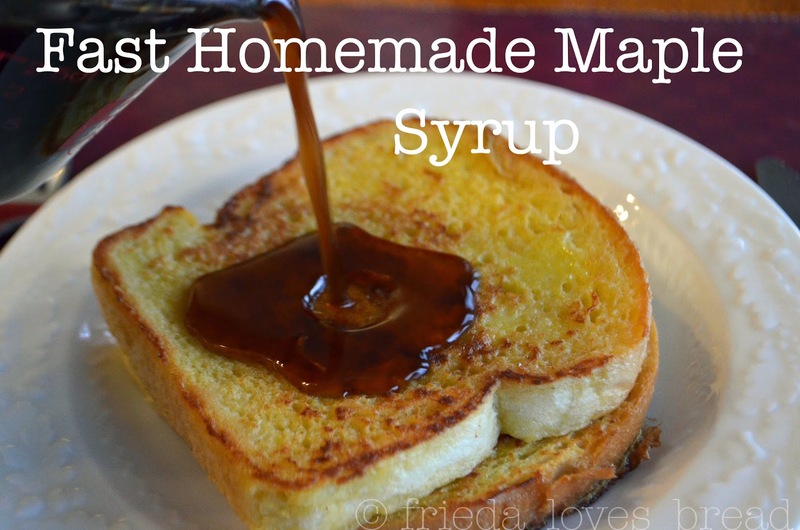 I love this Maple Syrup recipe because I know I made it and what goes in it. 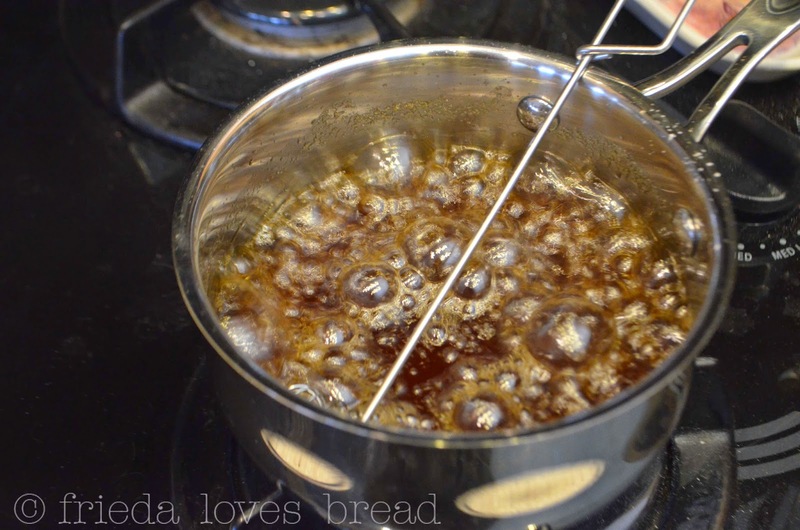 I love that it is fast, easy to make and HOT syrup always tastes better on HOT pancakes and waffles! 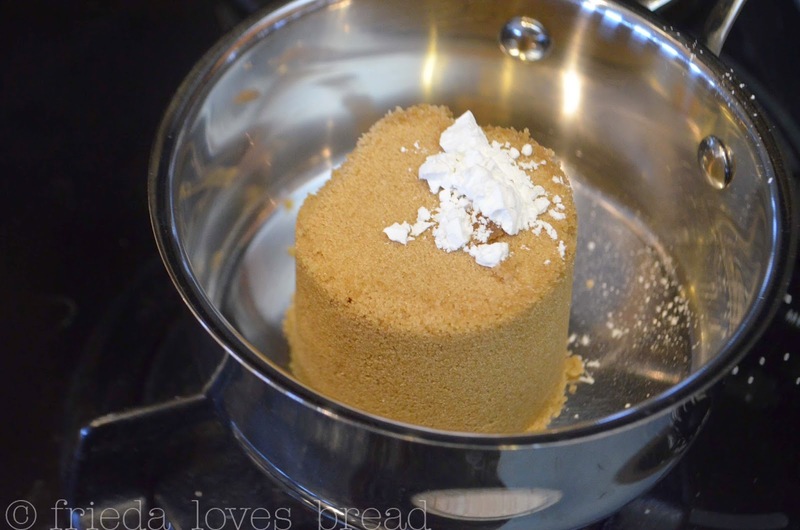 Put the brown sugar into a medium saucepan. Put the cornstarch and mix with brown sugar, making sure there are no lumps. Add water. Stir or whisk constantly over medium-high heat until the mixture comes to a boil. Boil one minute, still stirring. Remove the saucepan from the heat. Add syrup flavoring. Serve.